The shadow of the Death Star looms across the galaxy, threatening any planet that doesn’t fall in line with the Empire. 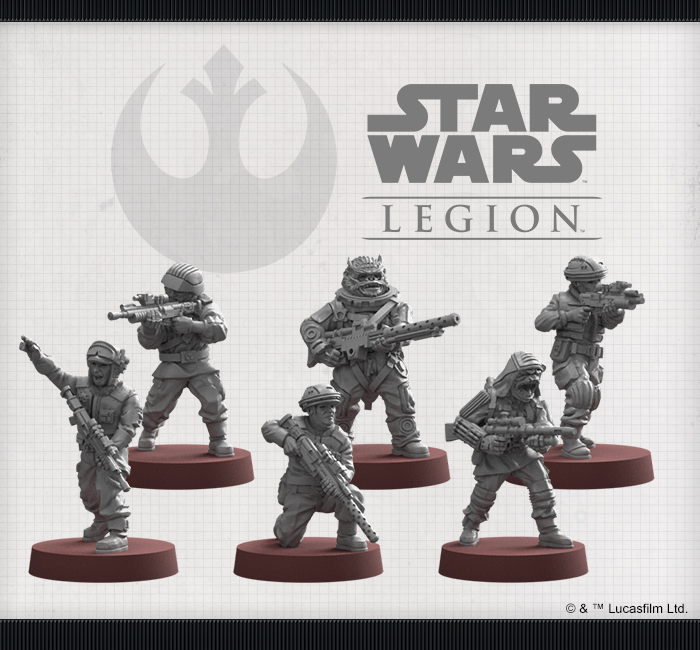 Only those brave—and perhaps foolish—enough to stand against the Empire can hope to save the galaxy from this technological terror. Raised by the extremist Saw Gerrera and on her own from a young age, Jyn Erso embodies both of these qualities. 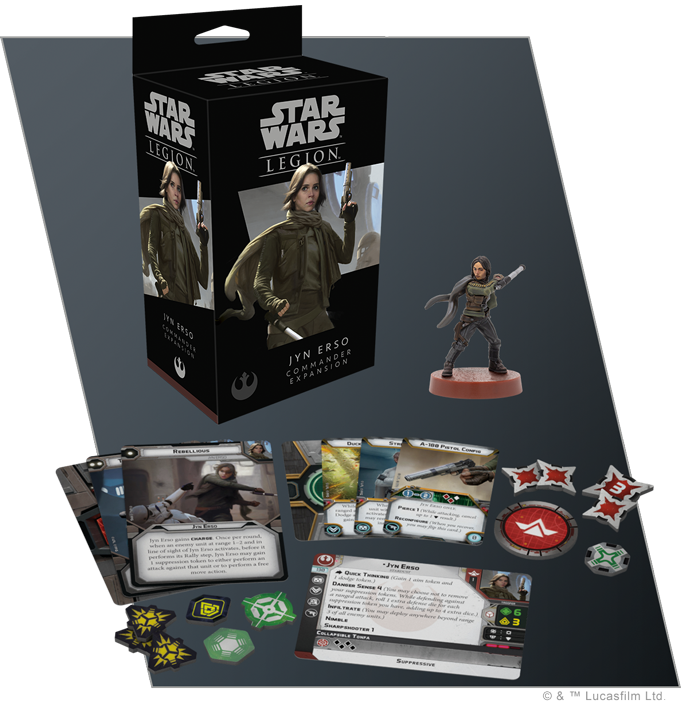 Reckless and aggressive, Erso is nonetheless a brave leader who can contribute to your battle plan in many ways. 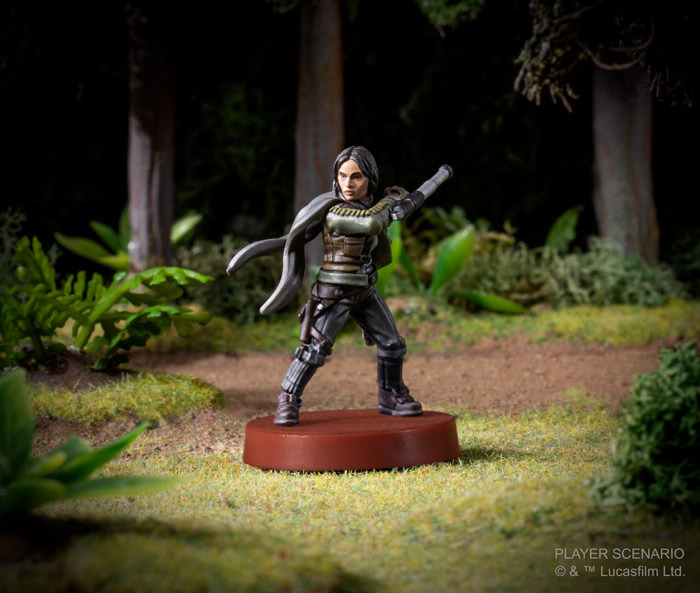 Unafraid to wade into battle with her collapsible tonfa drawn, her quick thinking often gets her out of tricky situations. 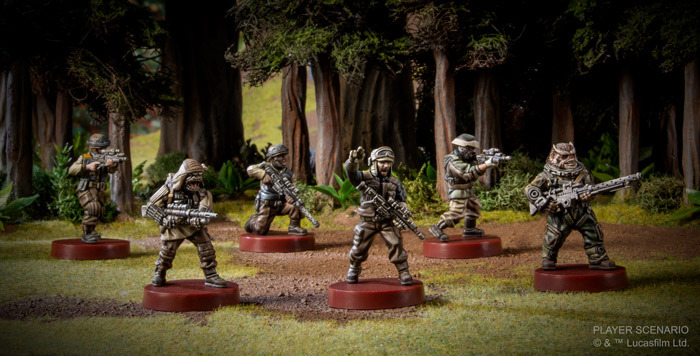 In fact, her Rebellious streak often comes in handy, letting her make a quick strike against an enemy unit or dive for cover before she can be targeted. 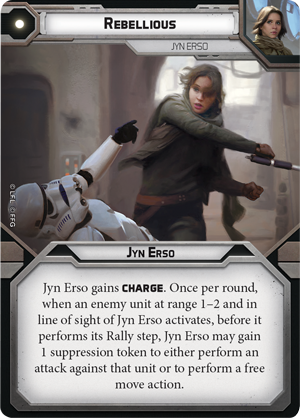 We’ll take a full look at everything inside the Jyn Erso Commander Expansion, including all of her signature command cards, in a future preview! 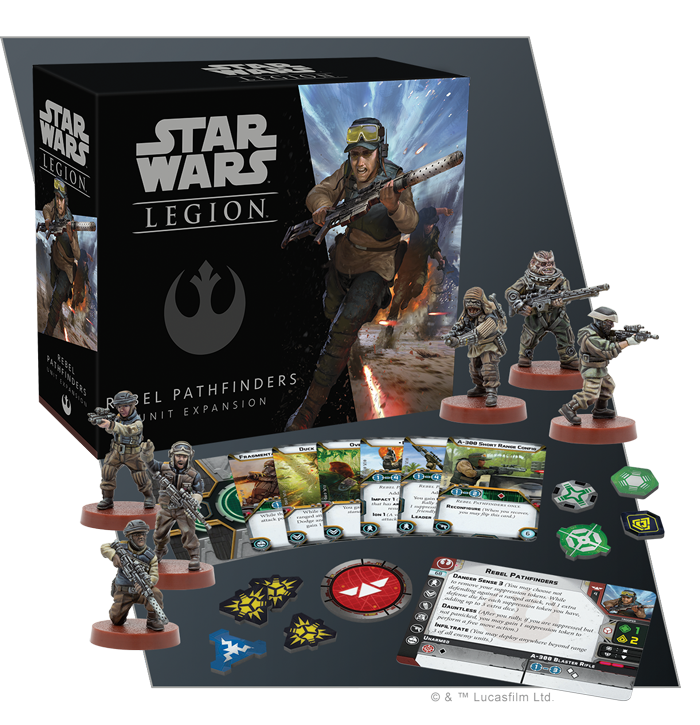 We’ll take a closer look inside the Rebel Pathfinders Unit Expansion, including all of their upgrade cards, in a future preview! 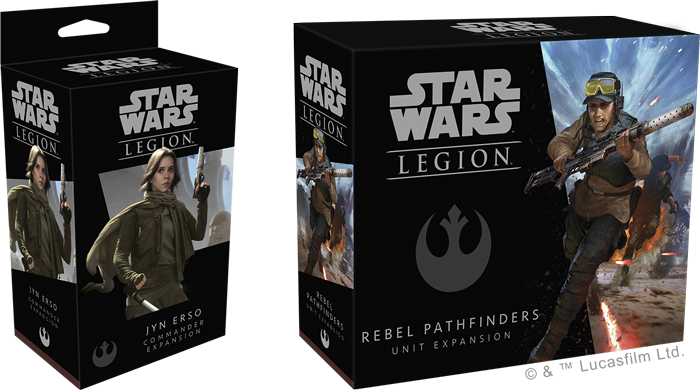 Look for the Jyn Erso Commander Expansion (SWL31) and the Rebel Pathfinders Unit Expansion (SWL32) at your local retailer in the first quarter of 2019. Pre-order your copy at your local retailer or online through our website here!